The kick off to the 43rd Annual Atlanta Film Festival is today! This two-week long festival takes place Thursday, April 4th - Sunday, April 14th. This year’s Opening Night Presentation this is a comedic drama called The Farewell directed by Lulu Wang. The Farwell tells the story of a Chinese family who decides to conceal the news of their grandmother’s terminal illness from her by organizing a spontaneous Chinese wedding in order to reunite and all bid their final farewells. Along with such heartfelt films like The Farewell, patrons, film professionals and movie goers will also have the opportunity to be a part of 11 days worth of workshops, talent and filmmaker appearances, special music, and various film and art presentations. While many of these films require badge access which can be purchased in advance, we would also like people to know that there are a host of five different free events including the highly anticipated premiere screening of Games of Thrones Season 8! Some of these events require an RSVP while others may not. For full details, please visit https://www.atlantafilmfestival.com/schedule-2019. Dress Like A Gent has had the privilege of covering the Atlanta Film Festival for nearly 5 years now and we always are stunned and touched by the amazing work put in to make this event possible. Not to mention, all the films I’ve seen there have been simply amazing, thought provoking, heart-wrenching and honest! Be sure to take advantage of these offerings before these two weeks expire! For more information on the 2019 Atlanta Film Festival and ticketing, please visit www.atlantafilmfestival.com. The 41st Atlanta Film Festival Starts Today! The 41st Annual Atlanta Film Festival begins today and will run throughout April 2, 2017. For a span of 10 days total, participators can expect an enthralling plethora of more than 160 feature length and short film presentations, 37 Creative Conferences and over a dozen Special Presentations. The Atlanta Film Festival has proven to be a monumental event that draws in filmmakers, writers, film lovers and more from all over the country and abroad. 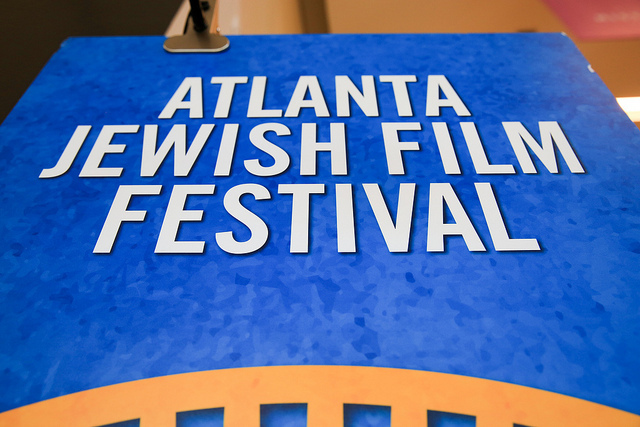 This highly anticipated Festival (aka ATLFF) has received global recognition as one of the "25 Coolest Film Festivals in the World" and "50 Film Festivals Worth the Entry Fee". The Opening Ceremony and red carpet screening this year will feature a narrative, DAVE MADE A MAZE - a story about a character named Dave who falls victim to his own fort erected in his personal living room. Dave winds up "trapped by the fantastical pitfalls, bobby traps and critters of his own making." Following the opening film, there will be a after party available to pass-holders who have obtained wristbands at the conclusion of tonight's screening. For more information on AFF, please visit, www.atlantafilmfestival.com and to check out my recap from last year's 40th annual AFF, visit http://urbanluxmag.com/2016/04/02/40th-atlanta-film-festival/.